Fusio-dose is a very popular treatment. With the most effective ingredients it repairs and nourishes your hair. It´s a treatment that suits all hairtypes and we customize the treatment for you here in the salon. The results can now be further prolonged until the next salon visit with 4 personalized at-home applications. 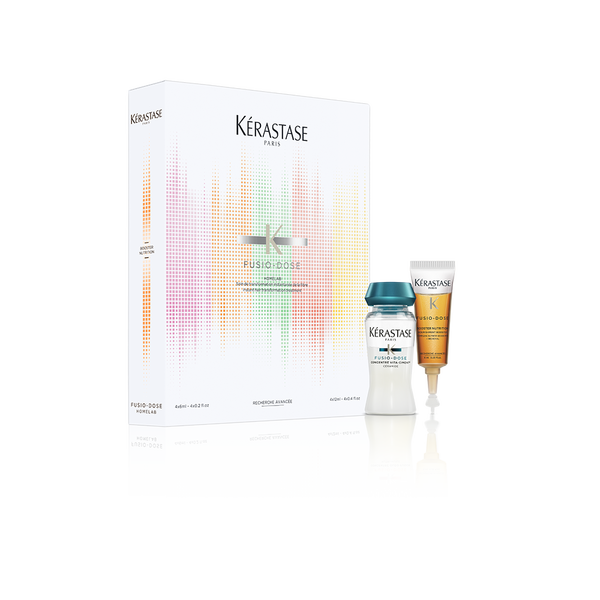 Ask your hairdresser for the in-salon treatment on your next appointment and make sure to maintain the result by using the home-lab.